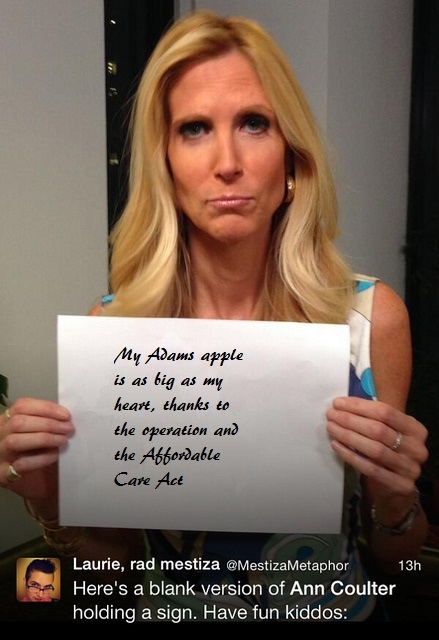 You know Ann Coulter was dissing the first lady, and everyone knows Ann Coulter is no lady. So I decided to help Ann be more polite…for I went to charm school which Ann should try…building bridges here! Okay… my sophomoric delinquent feelings are being fed. This entry was posted on May 16, 2014 by leefeller in Politics and tagged Ann Coulter, politics, republicans.